In my first blog post I write of how important to my eventual music writing was hearing, at age six, my Uncle Bob’s recording of Gene Krupa‘s China Boy, and also, discovering Uncle Bob’s mismatched four-piece drumset and loving its “sound” – especially the small tom-tom. As important to my music writing was the varied music heard at home, friends’ homes, on radio/t.v., in school. I asked Mel Lewis how he learned to play drums to different styles of music. He said, “Ears.” Listening! Mel was familiar with many types of music. By the time I started drumming, then writing about drumming, I too was familiar with many types of music. Rock was in its infancy when I was a kid, so I grew up hearing the popular music of my parents’ World War II generation, plus the emerging rock music of my generation, mostly on AM radio. My mother loved Al Jolson. She also played the upright piano at home and I loved hearing her play, “Theme from the High and the Mighty,” by Dimitri Tiomkin. My classmate, Kevin Darby, was the first to introduce me to rock ’n’ roll. Kevin tried explaining it in words. 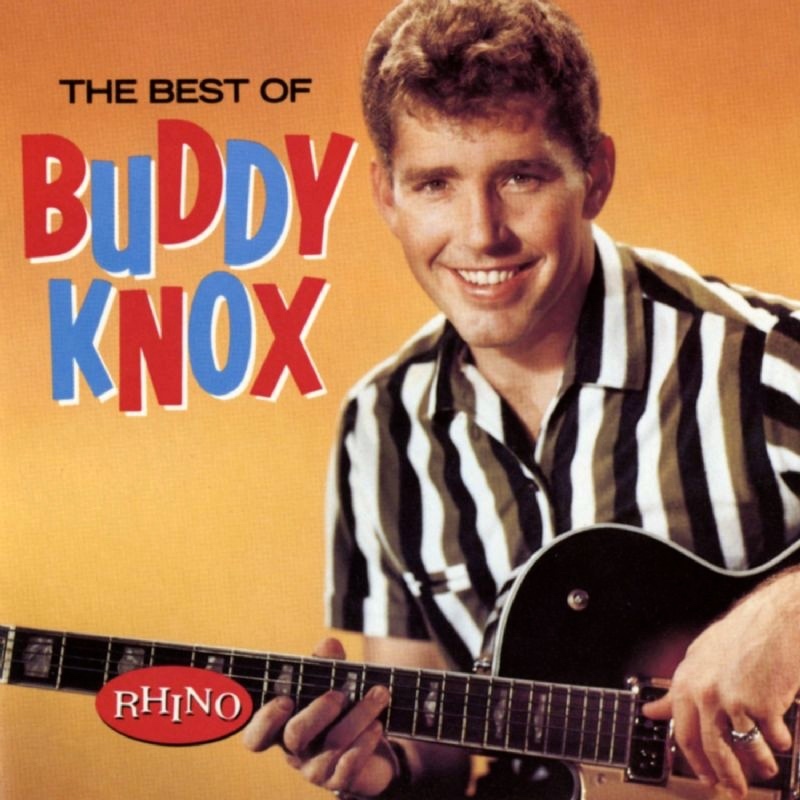 I don’t remember what he said, but he finished by playing me his brother’s 45-rpm Party Doll, by Buddy Knox (1957). Alldred was ahead of his time. Today it’s fashionable to have very expensive drumsets that sound like boxes full of cotton. 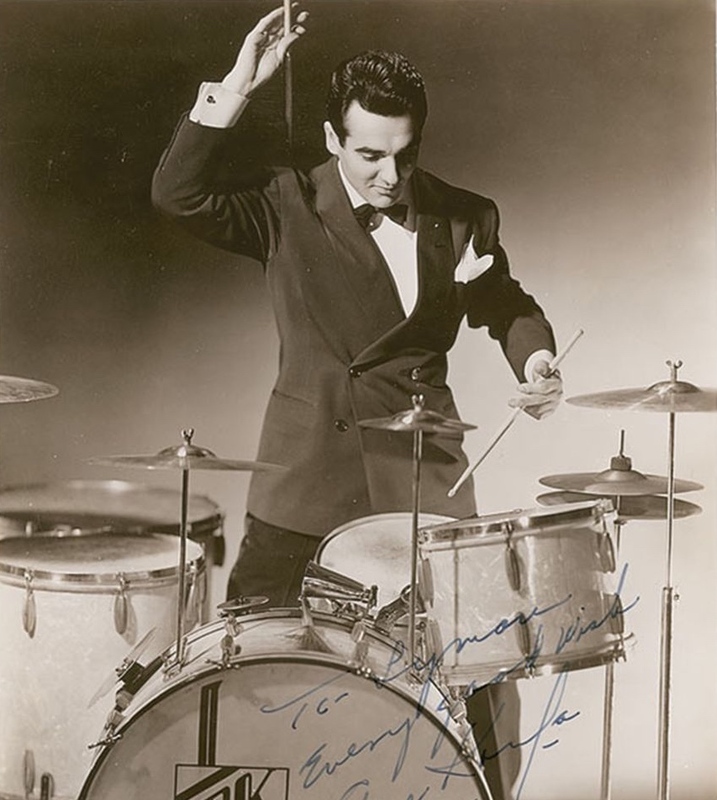 Gene Krupa, great American songwriters, early rock ’n’ rollers. These are examples of the sounds of my earliest musical life. This entry was posted in Revisiting My Life in Music and tagged Buddy Knox, Drummer, Gene Krupa, Mitch Miller, Party Doll, Scott K Fish. Bookmark the permalink.